Former party chairman and Tory donor Lord Ashcroft has commissioned research into the views of London voters. It shows a grim picture for the Conservatives in upcoming local elections. 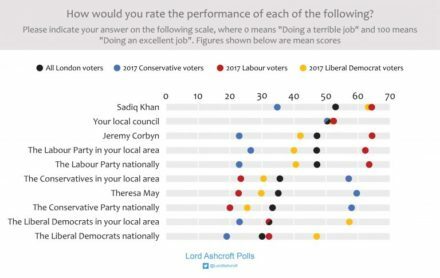 Ashcroft’s study is made up of results from a poll of over 3,000 Londoners and 16 focus groups with voters from eight key boroughs in the capital. 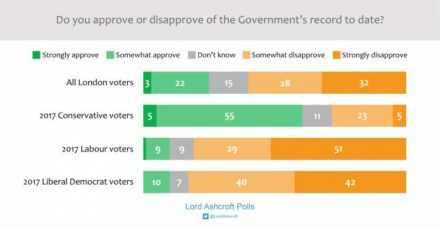 The polls found that 32 per cent of London voters ‘strongly disapprove’ of the government’s record to date and a further 28 per cent ‘somewhat disapprove’. Even among Conservative voters, approval reached just 60 per cent. 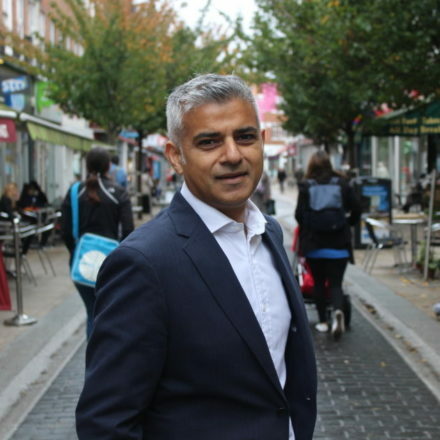 Asked how they would rate the performance of politicians and parties, London voters gave the most favourable score – 53 out of 100 – to mayor Sadiq Khan. It’s a good thing, then, that Khan will be making an appearance in every London borough before May. Jeremy Corbyn wasn’t far behind with 47, while Theresa May trailed with around 35. Among remain voters, Corbyn led by 55 to 27. The polling reveals most London voters have not heard of Momentum, dampening Tory hopes that the grassroots campaign group could put off voters from voting Labour. The New Statesman‘s Stephen Bush says it’s highly unlikely that so many voters actually have heard of Momentum. 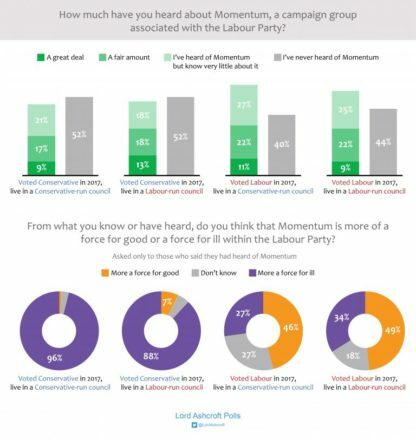 This seems a fair analysis considering the question “How much have you heard of Momentum, a campaign group associated with the Labour Party?” answers the other relevant question of what Momentum is, no doubt prompting respondents to say they have heard of it. Of those who voted Labour in 2017 and claim to know about Momentum, almost half believe it is more of a “force for good within the Labour Party”. Voters remarked in focus group discussions that low council tax rates have led to cuts to public services. In Wandsworth, a previous Conservative voter said youth services had been “cut to the bone”, while participants in both Wandsworth and Westminster complained about the lack of affordable and social housing. “Social housing is non-existent and they’re building these huge developments, £1 million plus for one bedroom. It’s ridiculous,” says one. The Conservatives’ key election message in May is that their stringent local budgets lead to low council tax rates. 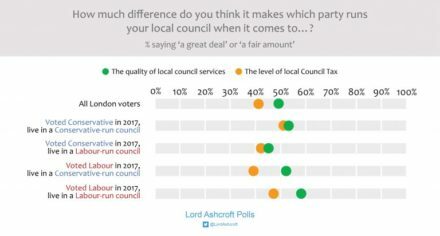 But the Ashcroft polling shows only 40 per cent of London voters believe the party in control of their local council made much difference to the level of council tax they had to pay. In Conservative-run local authorities just a third of voters linked the Tories with better services or lower council tax. Tory MPs and activists claim the fiscally responsible reputations of Conservative-run councils that could be taken by Labour for the first time in May, such as Westminster and Wandsworth, will pull them through. But the evidence suggests otherwise. Ashcroft notes that “the folk memory of “loony left” Labour councils with high taxes, shambolic services and extremist policies has all but disappeared”. You can read Ashcroft’s full report here.